The 12,000 sq. 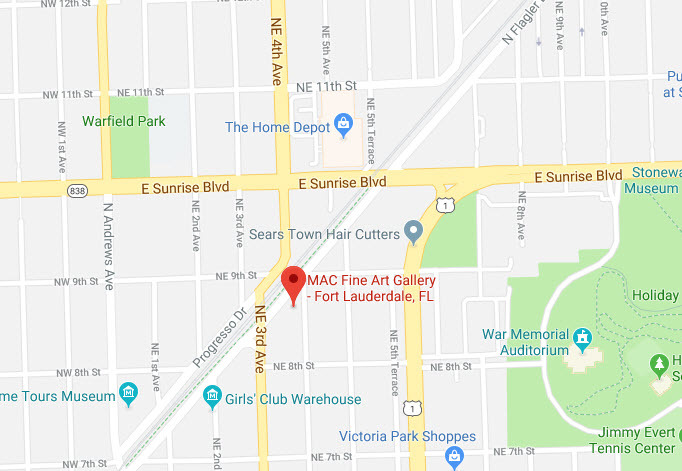 ft. art gallery recently relocated to Fort Lauderdale and houses the vast MAC collection in the largest exhibition space in South Florida. In addition, MAC maintains an in-house Multimedia Department complete with a digital photography studio, a state-of-the-art Gicleé printing facility, and a computer-graphic/prepress department. The space also features a custom design frame shop and shipping department, which allows for even greater quality control, giving the gallery full oversight of the collecting process, from initial contact through to the finish, delivery and installation of the artwork. 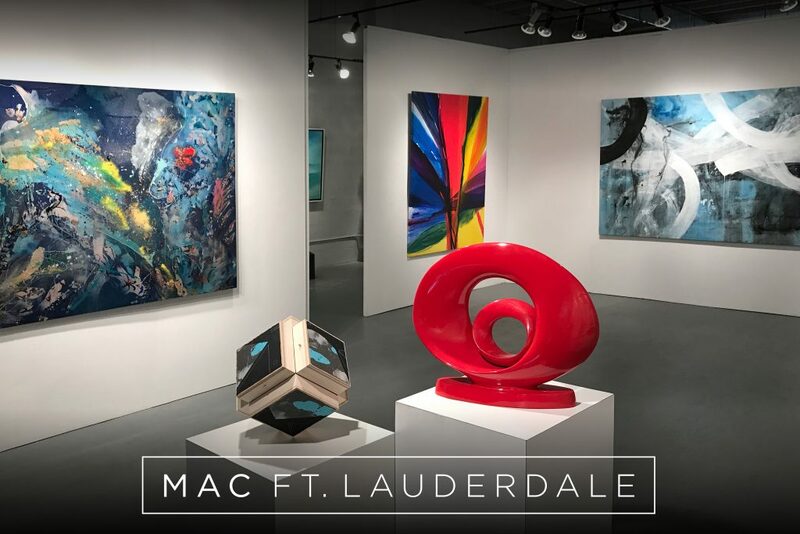 The Fort Lauderdale Art Gallery location hold’s frequent art exhibitions and is ideal for private collectors and art professionals and can satisfy virtually any fine art request, publishing project or installation specification. 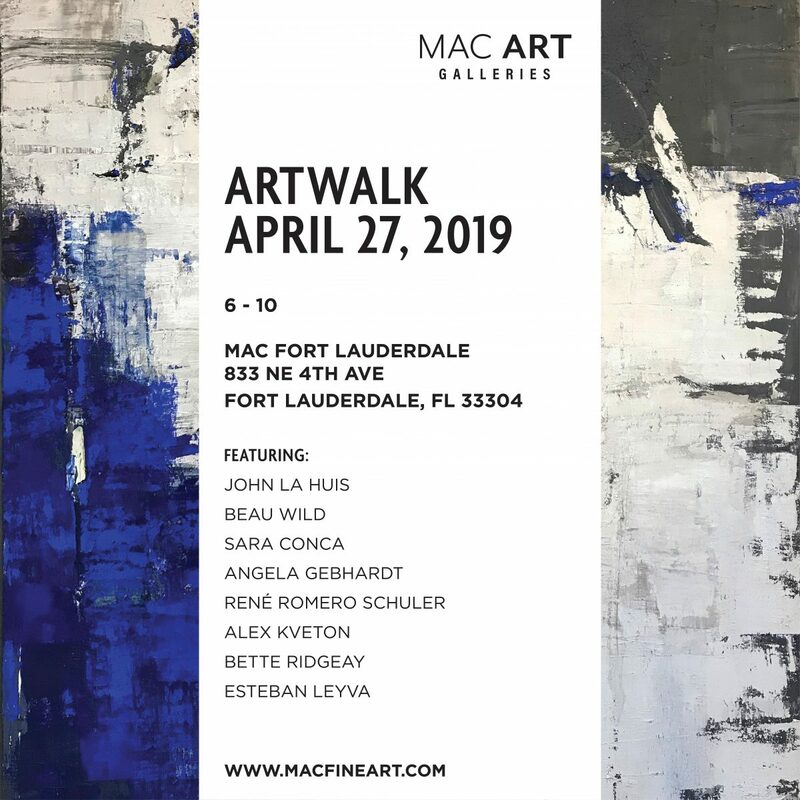 In addition, its proximity to South Florida’s most important Art Fairs including Art Basel & Art Miami makes it a vital part of the growing art culture in South Florida.